In the beginning of the 20th Century, natural gas began to be used in both domestic and business premises. With natural gas, people could efficiently heat their homes and cook food, and its use quickly became ubiquitous. For most people in most regions, this new source of energy was a safe and reliable new housemate. However, for those living in earthquake prone regions like Riverside, a new problem swiftly became apparent. Riverside is one of the city where earthquakes occur quite often. You can find all recorded earthquakes across US on this website. Due to the sliding and shaking nature of earthquakes, gas pipes can easily suffer ruptures and leaks (small leaks can be just as dangerous as large ones), allowing gas to vent in to the building. After it has accumulated, it only takes a spark or source of heat to cause a lethal explosion and/or a huge fire. These fires can seriously increase the damage and devastation caused by an earthquake. Fires impede search and rescue efforts for those trapped under collapsed buildings. It also impedes retrieval of stock or goods from affected buildings, causing extra loss. The fire itself can damage property and make the resulting damage of even small earthquakes much more severe. Fire can spread from one building to another, razing whole areas of a city, especially in periods of drought. Out of control gas fires will force the utilities to halt gas supply to affected communities, causing further disruption to those affected. Following devastating post-earthquake fires in cities such as Kobe, Japan, and North Ridge, California, solutions were sought to automatically cut the supply of gas in the event of an earthquake. 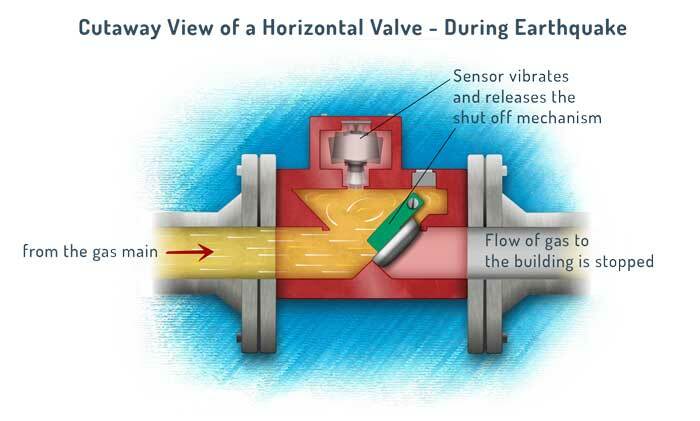 Modern day earthquake valves are considered “fit and forget”; they are mounted on the main gas line and are triggered by seismic waves, shutting off the supply of gas instantly. These devices are becoming not only increasingly popular, but often required by law. Turkey for instance, following a large earthquake in 1999, regulated that all gas lines in ranking 1 or 2 earthquake zones must have Earthquake valves fitted. Whilst not yet required by law, homeowners and business owners in Riverside, California, should really consider installing this invaluable piece of equipment. Our Riverside based plumbing company is doing this type of job, you can find more info here. Btw, According to Earthquake Track (using data from USGS), Riverside has had 632 earthquakes in the past year, and in the last decade no fewer than 12 earthquakes were stronger than magnitude 5.0. In such a high risk area, you would be serving not just yourself but also your community well by taking responsible precautions against the danger of a post-earthquake gas leak/fire. Many insurance companies also recognize the benefit of these devices, providing discounts on premiums for those with professionally fitted devices. 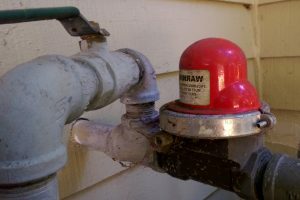 Following a seismic event these valves can be quickly reset (once the gas supplies are checked for any damage), quickly allowing your household to return to normal.